Atlas Copco LT5005 Jumping Jack/Rammer 9 inch available for rent in Rochester NY, Ithaca NY and Upstate NY from the Duke Company. Start-up is always easy, even if you use your rammer/Tamper irregularly due to the fact that the engines are well protected against dirt and contamination. The LT5005 are easier to handle, and weigh slightly less, than their predecessors. The combination of high centrifugal force and speed result in the same deep compaction. 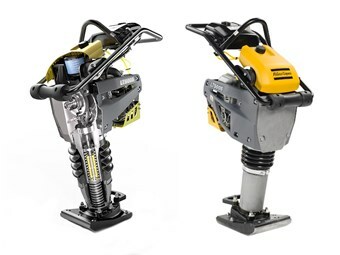 Reliability, spped, ease of use — look no further than Atlas Copco Jumping Jack/Tamper/Rammer.